"Registration is open for Corporate Sports Olympiad 2018 "
F5 Ventures is a well recognized name in the world of event management especially inter corporate events. 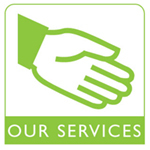 We have been associated with many top ranking sporting and non sporting events. Our endeavors have attracted over 300 corporate in a series of different events, done both Intra & Inter corporate. We specialize in doing events catering to the needs of our smaller and big corporate clients, ranging from parties to seminars & sports events to training camps. 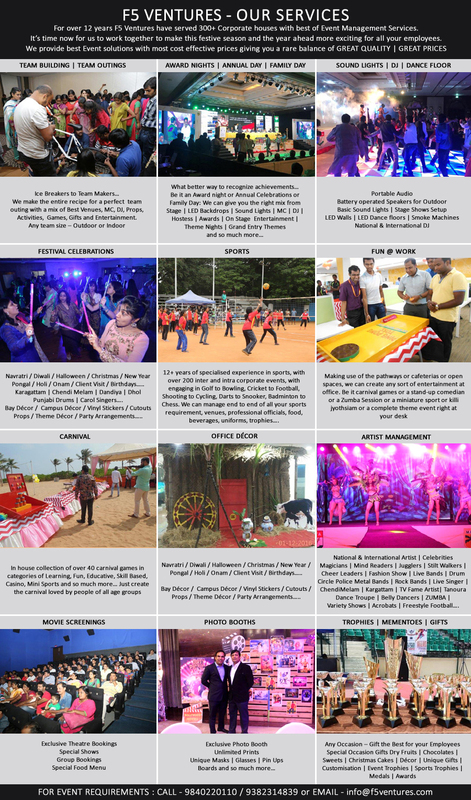 Our team handles all activities right from Conceptualizing to the execution of actual event. Our events are an annual feature in all Corporate's itinerary. We ensure that all our events are carried out to the best of standards, which is reflected from the repetitive business from all these corporate. Today, our events are prestigious and competitive in nature and ensure that all participants take back home good memories. Our team handles all activities right from Conceptualizing to the execution of actual event. Our events are an annual feature in all Corporate's itinerary. F5 Ventures strives to give its Clients a stimulating experience through dynamic participation events. Our promise is to offer you excitement thru corporate events, which are competitive in nature and offers you the best value for money. We look forward for your valuable association with us.